Republicans are dealing with a threat from within their own party led by Steve Bannon, who has vowed to challenge every establishment Republican incumbent running for re-election with candidates of his own. The Republican “Civil War,” as Bannon calls it, poses a challenge to current GOP members in office — and a growing number have announced their retirement in 2018. GOP Sens. 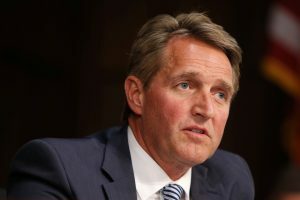 Bob Corker of Tennessee and Jeff Flake of Arizona are the only members of the Senate who have announced that they won’t seek re-election in 2018. On the House side, 24 Republicans so far have announced they won’t seek re-election. Of those, 12 are retiring from elected office altogether. Another 10 are hoping to win a different job (either governor or senator). Here’s a comprehensive breakdown, as of Nov. 15, of all the Republicans who will be leaving Congress, along with the results of the 2016 presidential election in their district or state. As you’ll see, many hail from safe Republican seats, but have nonetheless decided it’s time to go.